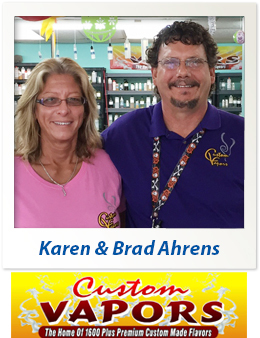 I opened Custom Vapors Inc., in 2009 in Seffner, Florida. I have always owned my own businesses, but never a retail store. I had owned a mechanic shop for 17 years in Los Angeles, CA and then decided to move to Florida were I was a lineman working up on power poles for 16 years. Due to a health issue I was no longer able to climb the poles so it was time for me to start a new career. This is how Custom Vapors Inc. began, my wife and I opened it up together and we both work full time. When deciding the type of store to open we were looking to give the public better alternatives to paying high prices and some much healthier choices for cigarettes and tobacco. This is how we went into vaping. The media is not telling the complete story about the facts of e-cigarettes. You have many choices in e-liquids and that's why we decided to manufacture our own. We use the very best products that you can buy in the USA, and they are even kosher! SSS: What are the biggest challenges you faced while opening your store? 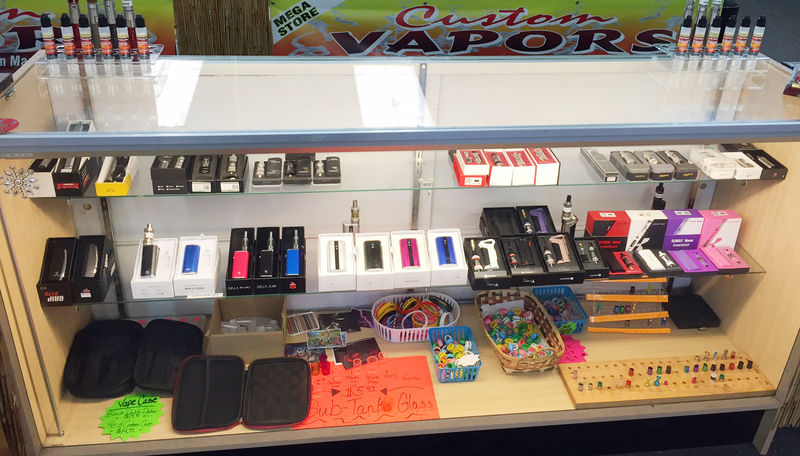 CV: We started a roll your own cigarette shop along with a Vapor store. Our goal was to have an alternative to the high cost of cigarettes with much less chemicals. Our biggest challenges were that both businesses were brand new and nobody knew about them. There was not much information you could gather about either shops, so we researched our butts off. Now we manufacture over 2600 e-juice premium flavors that are custom made special for each customer that walks thru the door. We have more flavors then anybody in the USA. SSS: What has been your proudest moment as a store owner? CV: This has been the most rewarding business I have ever owned. On a daily basis we have people that have smoked cigarettes for years, come in and have been able to quit the cigarettes with the e-cigarettes and tell us how much better they are breathing and feeling. Also last year we were awarded a trophy from the Seffner Business Recognition for the best Shopping, Retail, and Custom Service. We were told that it takes several people to vote you into each category and it very unusual to win all three categories at once. This is something that we didn’t campaign for or even knew about. Last week we were notified that we had won all three categories again, so they are making up a new trophy that will read the "Elite Club" winning all the positions two years in a row. SSS: 3. What advice would you give a new store owner? CV: It’s a very competitive business, and we are seeing a lot of people getting into this business without being knowledgeable about the juices or the hardware. That can turn off a customer because they are not getting trained properly with what fits their lifestyle. CV: We have tried several but word of mouth works the best and we are having good success with Facebook. SSS: When it comes to customer service what’s something unique things do you do to keep customer’s happy? CV: Listen very closely to the customer, supply and train them with what fits their lifestyle. CV: If you serve the customer with the best service, they not only will come back but also will bring in new customers and will tell everyone they know about their experience. SSS: What is your favorite product(s) from Specialty Store Services? How do you use them? CV: How do you use them? 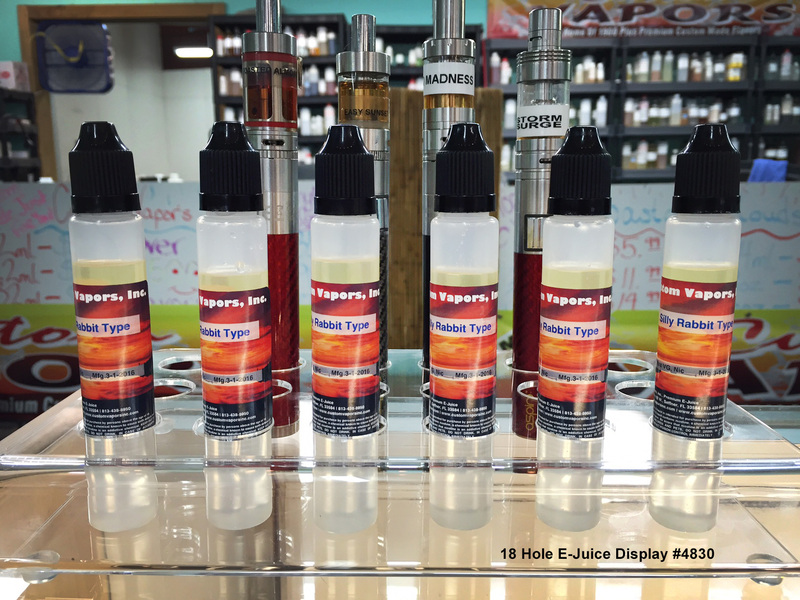 The e-juice racks look great and work very well for us on our display counters. We have also purchased door mats that work very well. We really would like the 6 foot glass display as well as new Countertop and Impulse displays, LED Message Board and Smiley Bags, just need to work them into my budget.